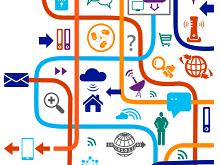 The Internet of Things (IoT) brings together devices, sensors, cloud, data and your imagination. On this Hackathon you can create your own IoT project under the tactful guidance of our experts. This is a free of charge event you will only need to register. IoT Hackathon is happening in 16 countries at the same time! Be part of something big, get connected with other countries and teams from all around Eastern Europe! Exchange of ideas, talks to experts, opportunity to find like-minded fellows. Opportunity to talk to Microsoft experts and partners who create solutions in IoT and get assistance in code writing.